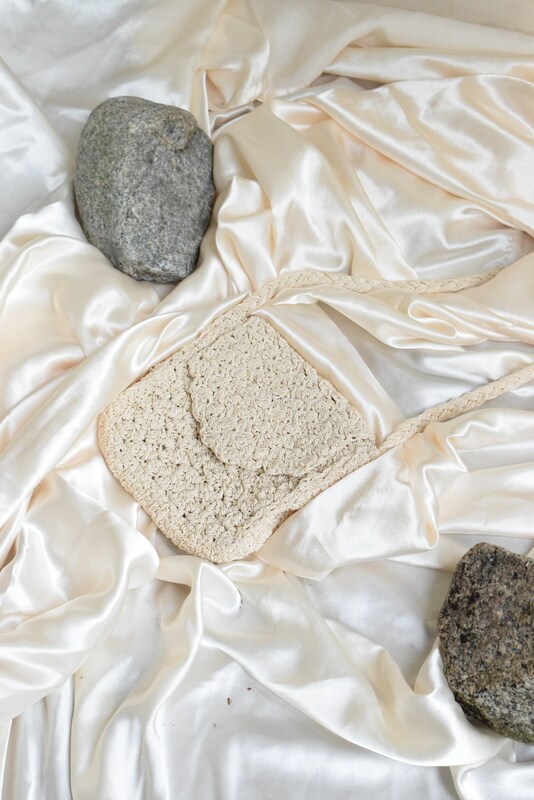 Ivory woven crossbody bag with a satin finish. 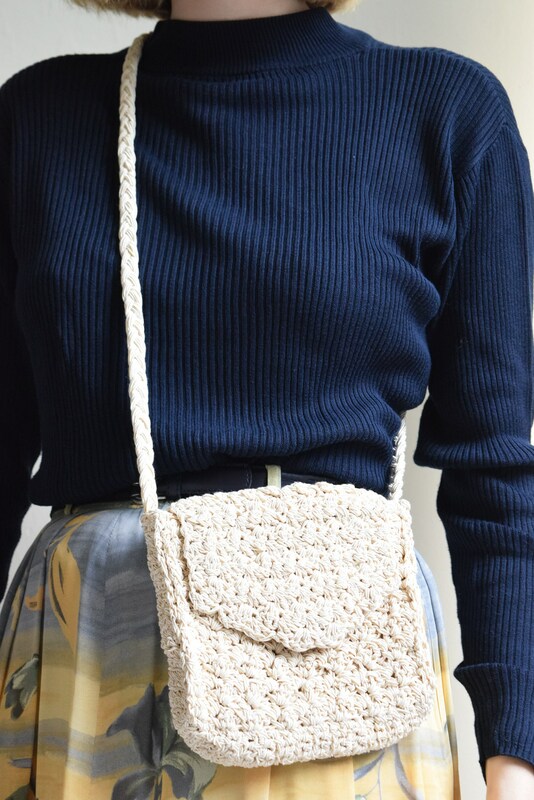 Braided chord strap fits comfortable crossbody. Has enough room to carry the essentials. Magnet clasp inclosure. Interior of bag in lined with one small pocket. Exterior is in excellent vintage condition. Interior is in good condition with no holes or tears but does have a faint blue streak above pocket. 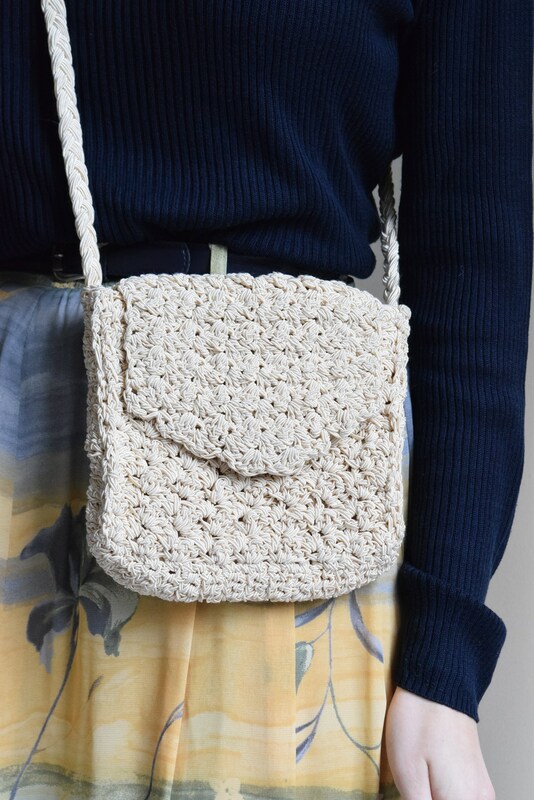 Doesn't effect overall charm or wear of purse.